Check out Warenotice's current selection of merch: beautiful products for all of the tech-loving Warenoticers out there! 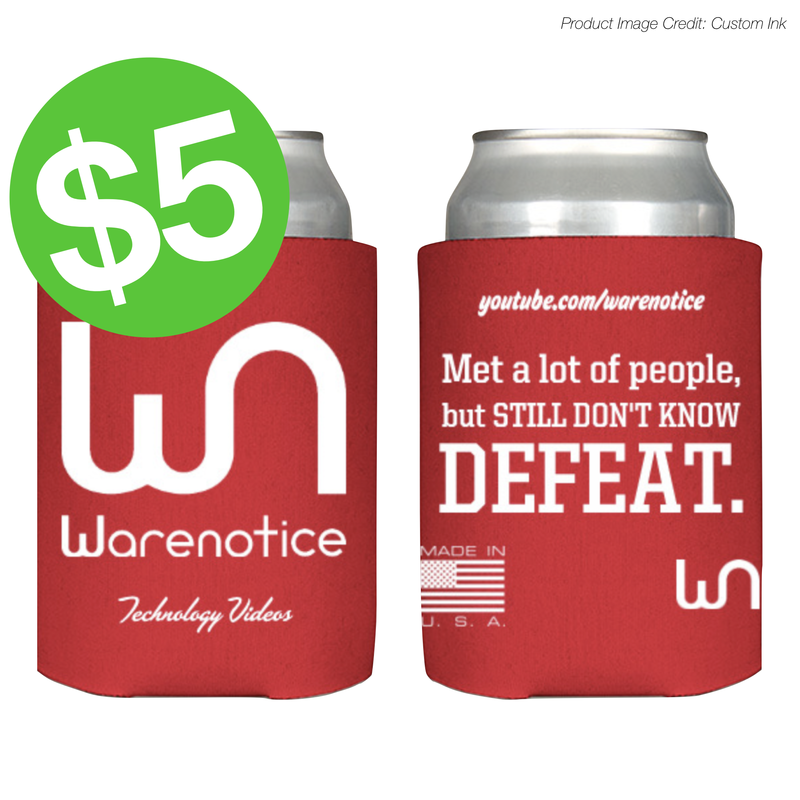 Purchase your very own Warenotice koozies, costing only $5 and made here in America! These good-looking foldable can coolers surround your beverage while showcasing your love of technology and support of Warenotice! Available now at the below link in Warenotice's iconic color: Warenotice Red!